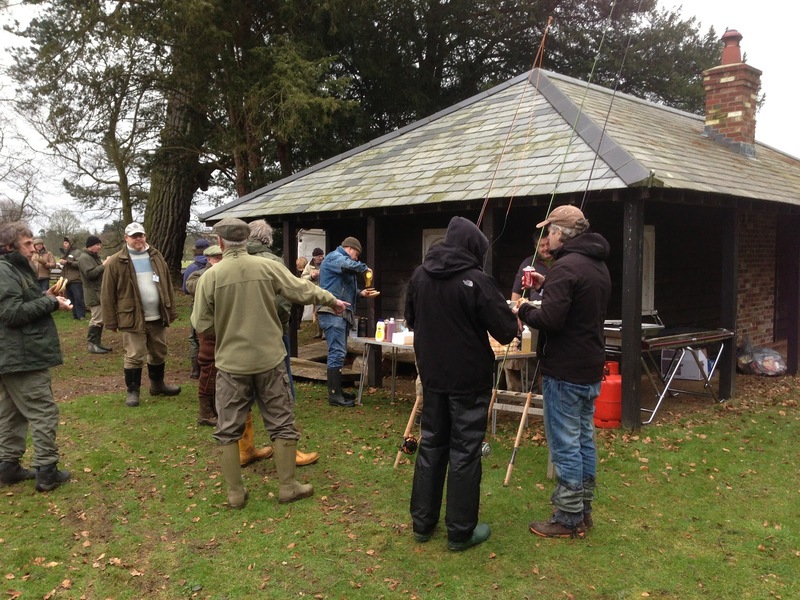 This weekend saw the annual Salmon open day held by Christchurch angling club. The day was held at the newly refurbished and very comfortable fishing hut at Somerley. The Hut is ideally situated by some of the best fishing on the middle river. 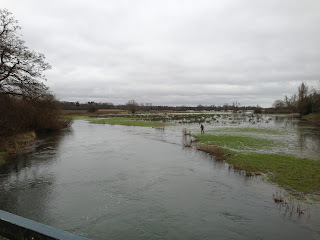 The weather was fine but the river was very high and in the fields, it had not been within its banks since April last year so fishing was difficult at best in 2012. The day started with coffee and lots of chatting and meeting like minded people as well as seeing people for the first time this year. 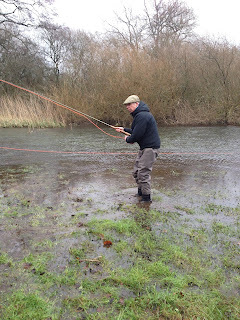 There were some great casting demos from Several AAPGAI instructors covering both single and double handed casting techniques all conducted from a rather fishy looking bit of grass with some over hanging trees. After a welcome hot lunch there was a casting clinic followed by the opportunity for visitors to fish the river for the rest of the day.